Do you remember the recently made Speed Queen teleshopping with Giorgio Mastrota? Great! Because the king of teleshopping, after sponsoring the world-leading American brand in the professional laundry market, has decided to invest personally in the business of the coin-operated, Speed Queen branded laundries: at the beginning of next year he will open not one, but two self-service laundries in Milan and Pavia. These are just the first of the long series of new openings scheduled for 2018 by Alliance Laundry Italy, the Italian subsidiary of Speed Queen, with this brand. 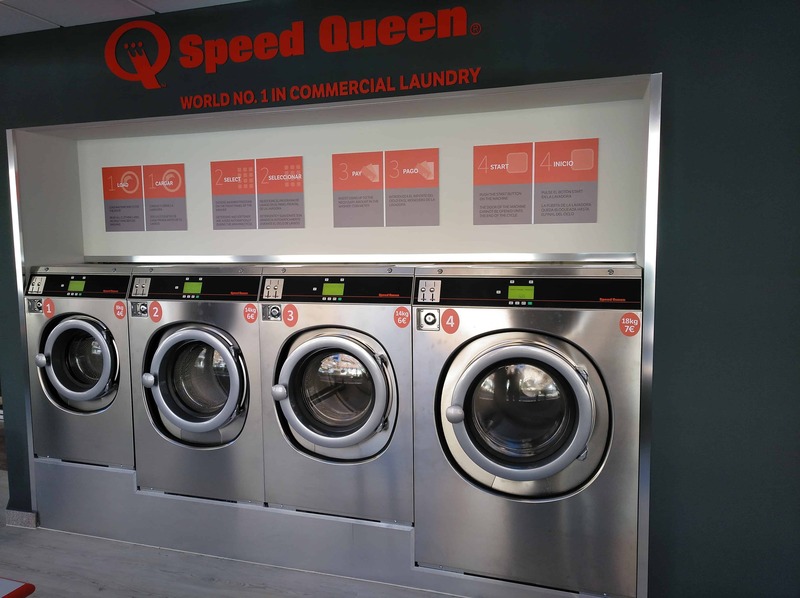 The goal is to open at least 35 new Speed Queen-branded self-service laundries over the next 12 months, maintaining similar, or even higher, development rates over the next five years. An ambitious and demanding development plan for Giovanni Laricchiuta, Speed Queen Business Development Manager for Italy. “Undoubtedly,” says the manager. “However, it is a goal within our reach, considering that today there are still many areas of growth in Italy and all the favorable conditions for the development of the self-service laundry business and, consequently, for the growth of our shops network. How many Speed Queen coin-operated laundries were inaugurated in 2017? Our customers opened about thirty new Speed Queen stores. How will the new openings on the territory proceed next year? Our goal is the full coverage of the national territory. The first step will concern the Central-Northern area, where there are more favorable market situations and wider margins for growth. In the three-year period 2018-2020, the development of the network will focus more on the South, where we have gathered the interest of many potential investors and entrepreneurs. How do you explain this great request? The answer is twofold: especially in the South, today there are many young entrepreneurs, or children of entrepreneurs, who want to grow, diversify their business, but do not find interesting outlets to do so. In Italy, the success of a business is today essentially linked to two factors: management costs practically nil, as well as certain and irrepressible needs, such as food or cleaning. The Speed Queen business model meets both these requirements: the management costs are minimal, while a service is offered that can quickly and definitively simplify those duties ̶ such as washing and drying linen, especially if bulky and out of season ̶ that you have less time or desire to take care of because of the current, more and more frenetic and intense lifestyle. Speed Queen is the best answer to both these requests.